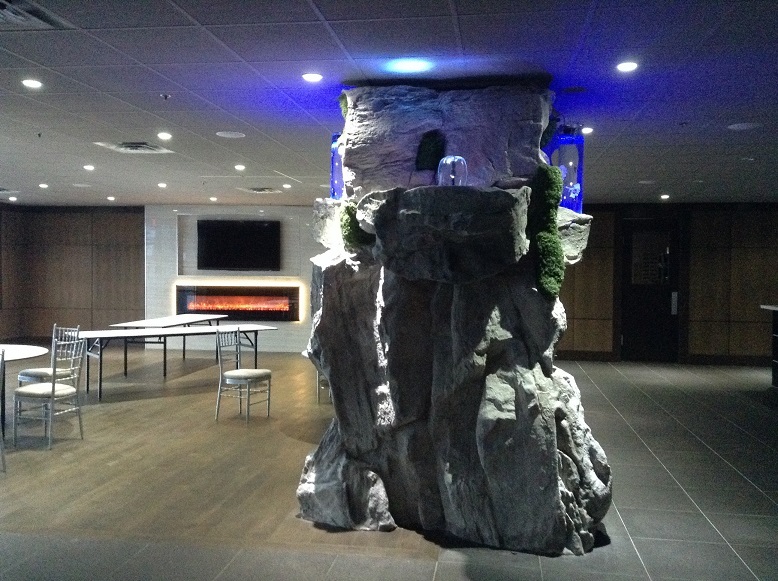 Indoor water features have become increasingly popular in the last decade. 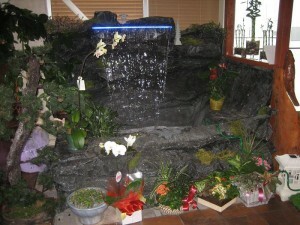 These indoor water features are available in a wide range of sizes, styles, colors and materials. 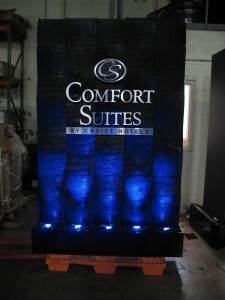 There are miniature water features for office desks, logo water features for corporations, water features to calm visitors at hospitals or dental offices and indoor fountains such as wall mounted waterfalls, bubble walls, floor standing waterfalls, and so forth. Indoor water features are a beautiful and effective way to enjoy the comforting sounds of water in your home, while adding style to your interior décor. The wide variety of indoor water features enables you to find one to match your style. Who says you need a garden to enjoy a water feature? You can simply bring it into your home. 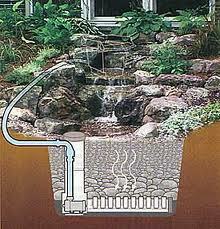 There are many benefits that you can enjoy by owning an indoor water feature as follows. You and I live in an increasingly stressful world, characterized by anxiety, tension and pressure. The sound of flowing water creates an atmosphere of calmness and serenity in the comfort of your own house. As such, it helps to reduce tension in your muscles and joints. You can simply relax in your living room or even bedroom, enjoying the sound of trickling water after a hectic and busy day at work. You can go to sleep and wake up to the soothing effects of water. In fact, it helps you sleep better. In short, you can create a relaxing environment in any or every room of your house by placing indoor water features. In the winters especially and any time during the rest of the year generally, the air comes dry and causes health issues. In most cases, it makes you skin drier, itchy and uncomfortable. 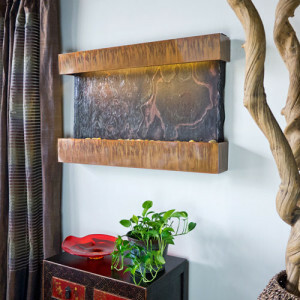 Indoor water features add moisture to the air in your room naturally. It is beneficial for you and your family as well as the plants in the room. A water feature is an amazing way to enhance the décor of your home and create a soothing environment in the room. 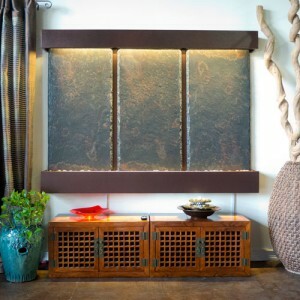 Water features are stunning and unique and provide a focal point to the room. 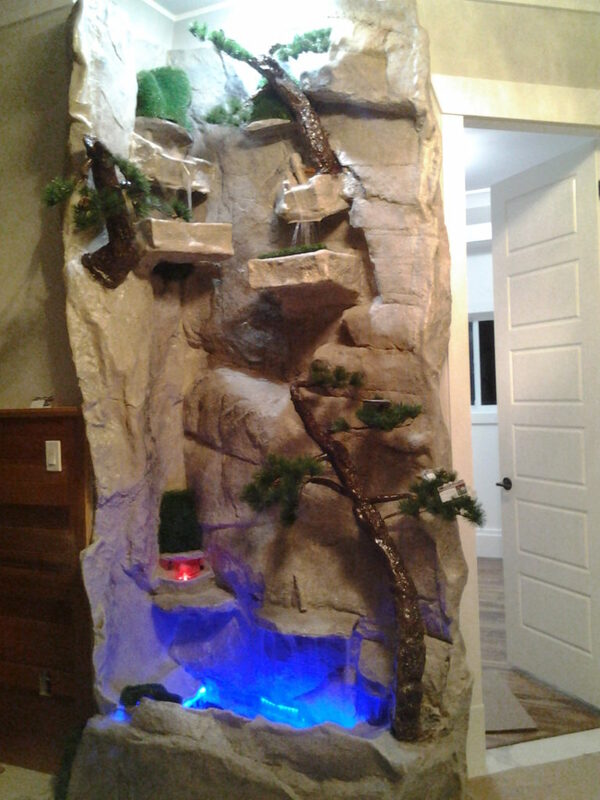 Water features are available in many different forms such as floor models, wall models or tabletop models. You can choose the style that compliments your room décor and add more style to your home or office. In most cases these watefalls usually become the masterpiece and focal point of the room. When your home or office is situated in busy neighborhoods or next to loud neighbors, you need white noise to drown out the undesirable noise. At times, people need white noise to sleep. Flowing water is the most relaxing and soothing white noise you can get. Indoor water features is an excellent source of white noise, drowning traffic sounds, loud neighbors, etc, so you can work or sleep peacefully or just enjoy some quiet time. Indoor air quality can be a source of concern for many, especially in rooms which get little fresh air. Flowing water produces negative ions, which improve the overall air quality of the surrounding. Air purifiers do the same but it looks unappealing and makes irritating noise. Why bear that when you can add an indoor water feature which emits negative ions, appear beautiful and produce soothing sound. Negative ions, in addition, attract dust and other irritants from the air and remove it. You can choose an indoor water feature for any of the mentioned reasons or any other reason of your own, but you will never regret the addition. You can purchase them from online stores, garden centers, home improvement stores, or from distributor/manufacturers such as WaterfallNow. 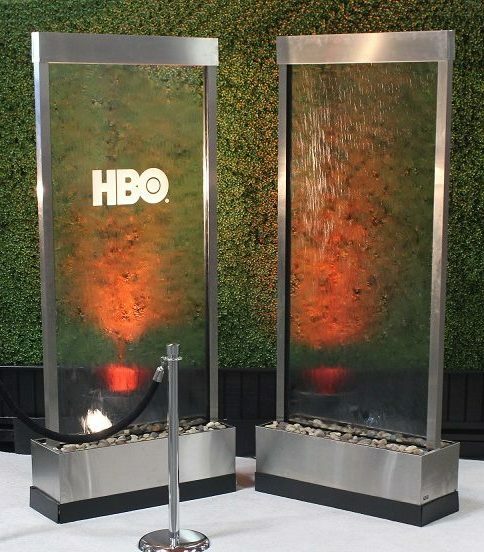 Email info@waterfallnow.com and we will help find the right water feature for you.